It was a pretty great turn out, with over 26 entries (even though not everyone left a comment!). I just sent you an email (you may want to check your junk folder) to get all your information - let me know if you didn't receive it? It's coming from my elschneider@hotmail.com address. Congratulations, Ebyss! I hope you enjoy the book (and you'll have to let me know what you think, since I haven't read it yet!). Thanks everyone, for another great contest! Stay tuned...I'm about to move over to my new website and blog in the next few weeks - you never know what I'll be giving away next! If you're like me, then you too can't believe it's already 2011! Yikes...where has the time gone? But what better way to start off the new year, then with a new book? And the new book in question? AWAKENED, by P.C. Cast and her daughter Kristin Cast. 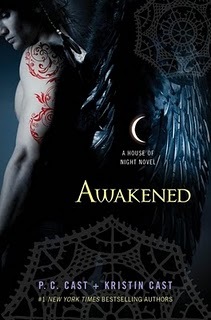 I've rather enjoyed the House of Night series - and their eighth installment in the series, AWAKENED, comes out on Tuesday, January 4th. I'm looking forward to reading this one! Sooooo, to help welcome the new year and get everyone started on the right foot - I'm giving away a copy of AWAKENED to one of my lucky followers! Sorry folks, this one is only open to my U.S. and Canadian followers. Enter HERE, and fill out the form to win! But please leave a comment below, telling me you've entered! Contest is open from today, 1.2.11 to next Friday, 1.14.11 - and a winner will be selected on 1.15.11. All entries (aka comments) for this contest need to be received before 11:59pm PST on Friday, 1.14.11 to be eligible. The winner will be drawn via Random.org on 1.15.11 and announced on my blog. And what about Stevie Rae and Rephaim? 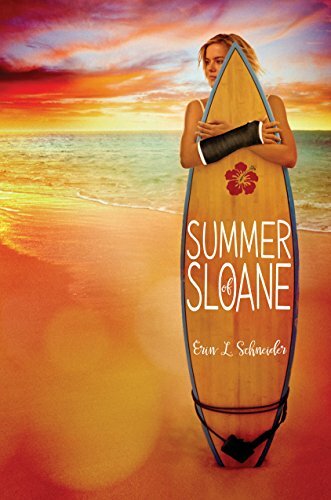 The Raven Mocker refuses to be used against Stevie Rae (since she saved his life), but what choice does he have when no one in the entire world, including Zoey, would be okay with their relationship? Does he betray his father or his heart? 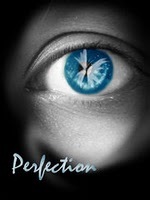 Care to read an excerpt?